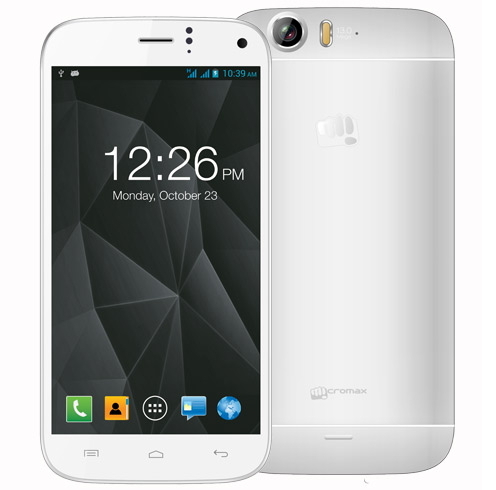 Third biggest mobile manufacturer in India Micromax officially launched a new Canvas Turbo A250 Android smartphone. The phone will be available starting from October 26 for the price of Rs 19,990. The Canvas Turbo A250 features 5-inch full HD Display with resolution of 1920 x 1080 pixels resolution. The phone powered by 1.5GHz MediaTek MT6589T quad-core processor with 2GB RAM and runs on a Android 4.2.1 operating system. It device comes with 13MP rear camera and 5MP front facing camera. And also the phone comes with some pre-loaded apps such as BBM, Opera Mini and more. “The launch of Canvas Turbo would be accompanied with our association with Hugh Jackman, one of the biggest names in world entertainment industry as the new brand ambassador of Micromax Canvas series of smartphones. The launch would be supported with a clutter breaking 360 degree marketing campaign across print, online and TV. The association will set an ideal platform for Micromax as we look forward to venture into international markets,” said Shubhodip Pal, Chief Marketing Officer, Micromax.